THE ROMAN MYSTERIES meets Sherlock Holmes! Alfie has decided to learn to read at St Giles Ragged School. But the school is set on fire and idealistic teacher Mr Elmore perishes in the flames. Alfie and his gang are certain that this was no accident and are determined to find the murderer. Together, they must sift clues and shadow suspects through the mean streets of Victorian London which they know so well - until the shocking truth is revealed. 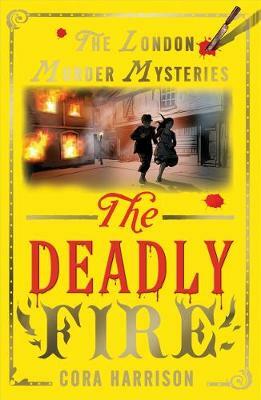 The second exciting adventure in the LONDON MURDER MYSTERY series.